The ultimate every day bag. The possibilities are endless with MZ Wallace’s best-selling Medium Metro Tote. It will handsomely carry your must-haves to and from the gym and all around town in NYC style. 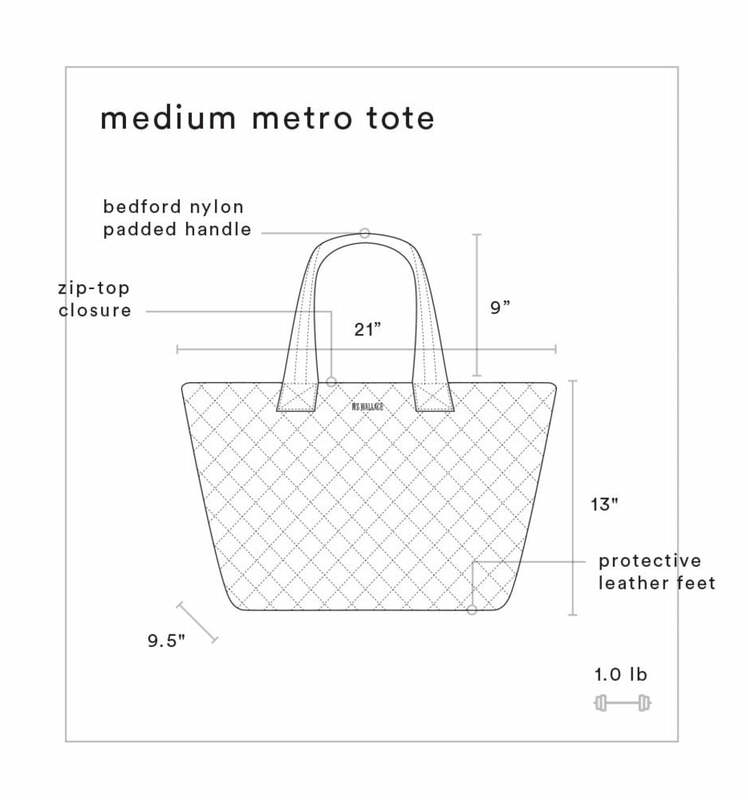 Alongside the luxurious aesthetic, the Metro Tote boasts extreme durability; it can be folded, rolled, packed, even crushed, and will never lose its shape. The generous interior boast six pockets to keep things squared away, plus there's a detachable travel pouch ready when you are. In Blue Lapis with reflective stripe.